Started off my day with some Jefferson Starship. Is there a better song to exemplify the Rockies right now? Patrick Saunders takes a look at Carlos Gonzalez’s rough season. A history of the Rockies and the No. 8 pick. MLB confronts the concussion problem – with Justin Morneau being the poster child. Bleacher Report lists 10 players with the highest ceiling in the 2014 draft. Is it time to start rebuilding for future seasons? 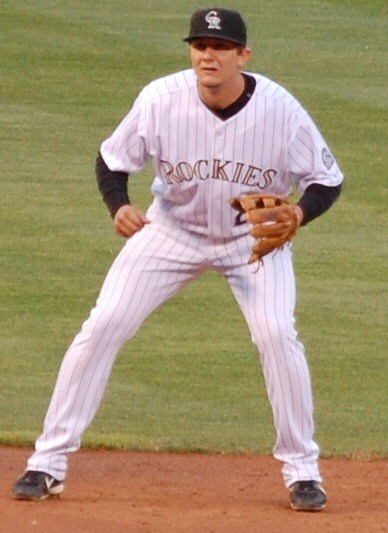 Here is how the Rockies will replace Nolan Arenado until he returns from the DL. What’s a guy gotta do to get these Jeff Samardzija rumors to go away? June will be a huge month for the Rockies and their playoff chances. Yahoo! lists its 10 players who need to move by July 31. Throwing everybody a curveball on this Sunday afternoon. Having a mailbag on a Sunday might just be the new trend. As always, any inquiries can be sent to cody.j.voga@gmail.com or @BlakeSt_Bombers. Dillon from Des Moines, Iowa writes: Rockies have the eighth pick of the MLB draft this season. Who do you think they will go with? Cody Voga: The Rockies should be in prime position to pick up an excellent prospect at No. 8, Dillon. One guy I feel would help Colorado out in a big way would be Max Pentecost (C, Kennesaw State). With Wilin Rosario planning on moving to first in a couple of years, catcher will be a big need. Pentecost can fill that role as soon as the Rockies would need him. Pentecost is hitting .424 with nine home runs and 57 RBI for the Owls, who are currently battling in the NCAA Regionals. The former seventh-round selection of the Texas Rangers would see an improved power surge if he plays his home games at Coors Field. Pentecost hits for average and does well behind the plate. The Rockies would hope he could turn into a defensive specialist, like Russell Martin. Carl from Rome, Ga. writes: Will Colorado’s pitching staff ever figure it out? Or are we looking at some turnover come July? Cody Voga: There’s a good chance we are going to see some changes soon, Carl. 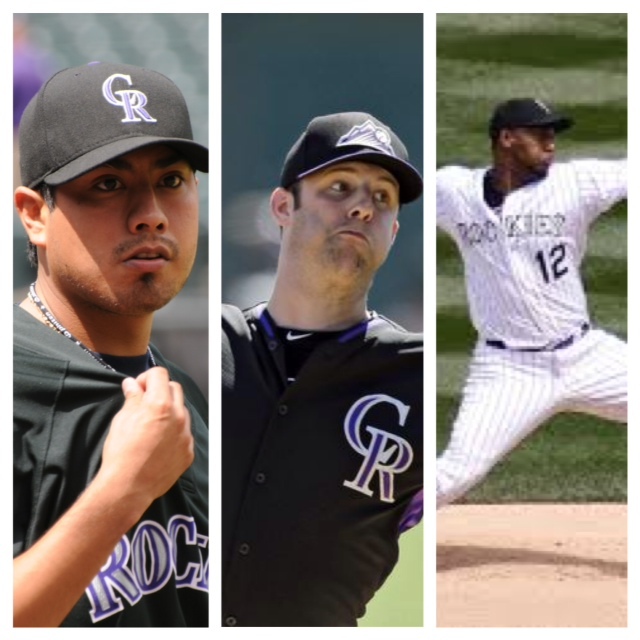 I believe calls to Tyler Matzek and Eddie Butler are imminent. Franklin Morales has proved once again why the Rockies ditched him a few years ago. It’s been five starts and we still don’t know if Jhoulys Chacin will get back to last year’s form. Those two, I would say, are in serious trouble to lose their jobs. Matzek and Butler have been waiting in the wings for a couple of years now. Manager Walt Weiss has said that the only thing holding them back is Major League experience. How else do they get experience in the majors without pitching in the majors? That could be one subtle hint that the time will be coming. Sadie from Osage Beach, Mo. writes: What’s the status on Brett Anderson and Tyler Chatwood? Can the Rockies get them back sooner than expected? Cody Voga: If all things go as planned, Sadie, you might be seeing Brett Anderson and Tyler Chatwood pitch before the All-Star break. Anderson is coming off of a surgery in which he had implanted pins removed from his left index finger. For him, it’s all about getting back into rhythm. Once he has gotten back into shape and can throw from a long distance, he will begin the rehab process. Gripping the baseball may be the biggest thing prolonging his comeback. With the index finger being an important tool in creating movement, it’s ideal to be 100 percent before pushing back into it. Chatwood, who had a strained flexor tendon, has returned to playing catch at 75-plus feet. Building up stamina and getting back into the throwing program is what Chatwood needs to do before returning to Coors Field. I would anticipate a longer wait for Chatwood as he doesn’t want to have another flare-up in his elbow. As nice as it would be to have them before the All-Star break, I think it would be best to sit these two until after July 15. If they are rushed back too early, they could be out for an extended period of time that could include the rest of the 2014 season. When you rank near the bottom in a statistical category, many call for a change in strategy. This is an open-door invitation into this segment of “Fair or Foul?” This section won’t need instant replay. It will be up to you, the audience, to decide if the proposed change is fair or foul. Let’s commence, shall we? 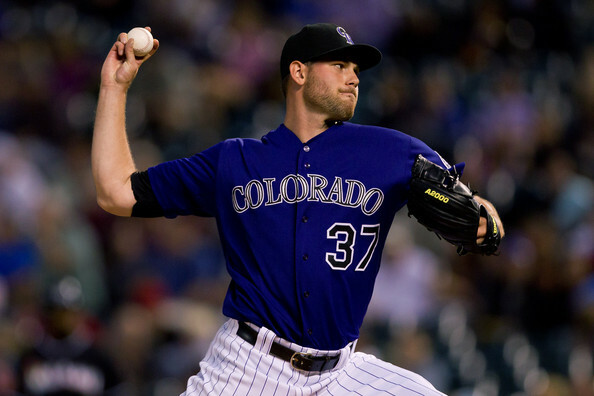 The Rockies need to move Adam Ottavino to closer. That’s a pretty drastic move for a guy who had an ERA or 4.51 entering this season. However, he has continued to show promise, lowering his ERA every year since his move to Denver. Thus far into the 2014 campaign, Ottavino owns an ERA of 1.46 and a strikeout-to-walk ratio of 8.3:1. Ottavino has been fanning batters left and right this season. His 25 strikeouts in 24.1 innings pitched produce a team-best 9.1 strikeouts per nine innings. Not only has Ottavino been impressive at striking batters out, but the righty has come in and shut down opposing rallies. He has stranded 85 percent of the runners he has inherited this season. If this doesn’t scream “closer role,” I don’t know what does. The current closer for the Rockies, LaTroy Hawkins, has 11 saves this season, but cannot pitch effectively on back-to-back days. In days where Hawkins has pitched the evening before, he has given up three runs in 1.2 innings pitched and zero strikeouts. How can those numbers validate your role as a closer? Hawkins is just nine years away from his AARP card and doesn’t have a strikeout pitch. Through 19 innings, he has eight strikeouts and has given up 23 hits. What’s more alarming is that hitters are batting .300 when they put the ball in play. If I were Walt Weiss and my closer is giving up more than a hit per inning and can’t strike batters out, it would time to rethink my strategy. I am not calling for LaTroy Hawkins’ head. I still think he is crucial to the Rockies run for a postseason berth, but his role should change to the seventh or eighth inning. 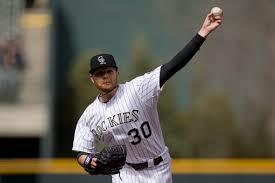 Adam Ottavino has been the best relief pitcher to don the purple uniform since Huston Street compiled 84 saves in his tenure in Denver. If this decision were up to me, you know where I would go. However, that’s not how this segment works. It is up to YOU!